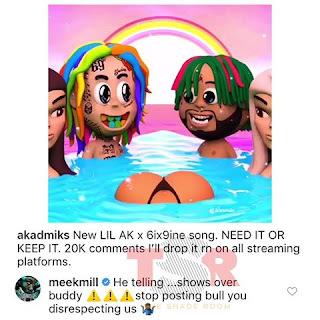 Meek Mill is beating DJ Akademiks on social media for standing out for Tekashi 6ix9ine. 6ix9ine was pleaded guilty for his crime and since new developed story, some of his God fathers in hip-hop are poking fun over the new trademarked snitch9ine. 50 Cent once makes troll 69 and 21 Savage after legendary Snoop Dogg made his verbally advocate on the same pleaded FEFE rapper. The rainbow hair rapper felony has made a serious break out and all and sundry are slamming him after his miff interesting development in his case of course he cooperated with fed. While Tekashi 6ix9ine keep maintaining his top dog case and getting denounced from peers in hip, DJ Akademiks is not of that meanwhile he took to his social account Instagram in support of Tekashi and there he posted something which Meek Mill found provocative. Just on February 8 the everyday Struggle co-host and his-Lil Ak alter go hopped on Instagram to do a little shameless self-promotion for a collaboration with 6ix9ine. ''New Lil Ak x 6ix9ine' song'' he wrote. NEED IT OR KEEP IT. 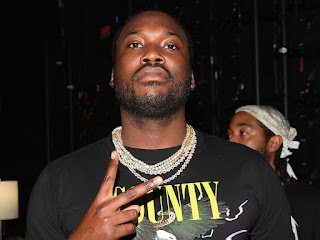 The post has received trending comment and Meek Mill is likely to have joined the comment line and he imminently bound on DJ Akademiks for doing such. According to Meek Mill, he told Dj to stop posting bull you disrespecting us. He telling...shows over buddy, stop posting bull you disrespecting us. 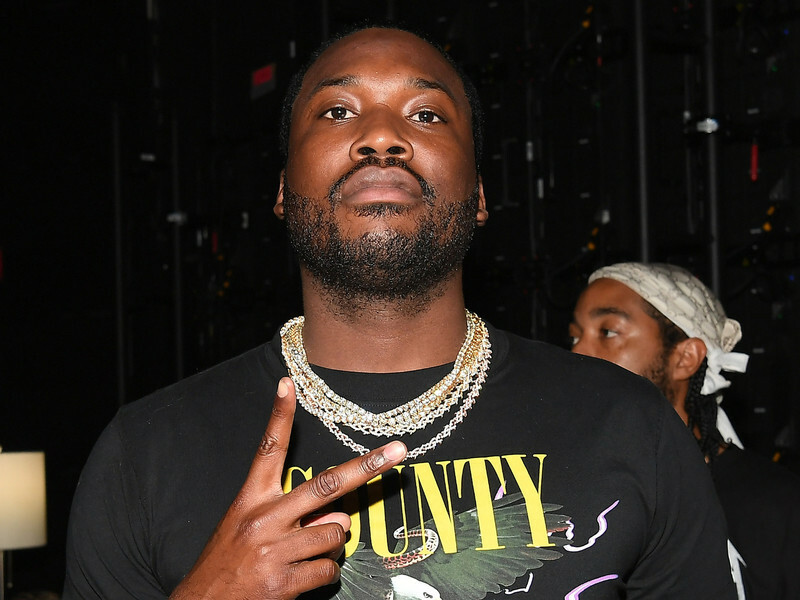 Meek Mill previously shared his new video with Drake and more which also shows their reconciliation. You can watch Going Bad video.